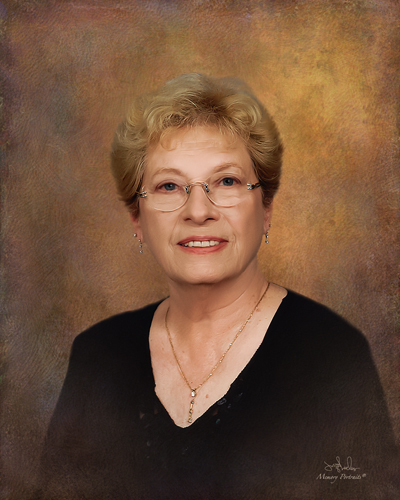 Carol Jean (Woolston) Davis, 84, of Fort Branch and Haubstadt, passed away November 14th surrounded by family after a brief battle with pancreatic cancer. The daughter of Ennes and Ruby Woolston, she was married to William V. Davis on September 5th, 1954. Carol was a graduate of Fort Branch High School and was one of 15 siblings. Carol was known for her generous spirit and willingness to help others. Aside from being a wife, mother and grandmother, her talent for interior decorating was evident to anyone who visited the Davis home. She was a wonderful cook whose recipes are treasured by all generations of her family. She was an active member of the Fort Branch United Methodist Church as well as the Good Will and Good Ways Club of the Gibson County Extension Homemakers. She is preceded in death by her infant daughter Myra Lisa Davis, her parents, and her husband William Davis. She is survived by her children, Devon Davis, Susan Davis Rardin, Duane Scott Davis, her nephews Jerry and Tim Woolston, ten grandchildren and eleven great-grandchildren. She is also survived by siblings, Beulah Woolston Miller, Judy Woolston Buck, Kenneth Woolston, Dennis Woolston, Zella Woolston Frey, and Steve Woolston. Services will be held at Stodghill Funeral Home at 500 E Park St., Fort Branch, IN on Tuesday, Nov.20, 2018, at 1:00 PM. Visitation will be held on Monday November 19th from 4pm to 8pm at the Funeral Home in Fort Branch, ,as well as Tuesday from 11am to 1pm with a Funeral service to follow. Burial to follow at Mauck Cemetery in Owensville, IN.